— right, but then it leaves out one of the best things about those hardware samplers, namely – sampling. The hardware isn’t deficient as far as sync and I/O, at least. You get MIDI input for triggering samples and even parameter changes (that gets interesting), as well as the requisite MIDI sync. There’s also the usual sync in for connecting to other KORG units. 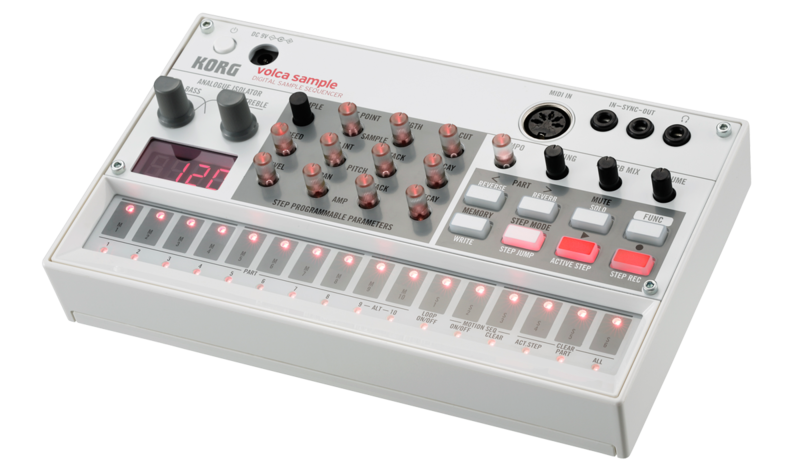 And like the other volcas, it’s battery powered. The big design tradeoff is really this iOS app. Now, of course, there are some advantages to this approach. It means that you can use your mobile device to gather sounds on the go, and manage those samples. And I have no doubt that means better sample management than you’d get just plugging into the device. It’s just a shame that this can’t sample a live audio input, though, as that takes some of the fun and spontaneity out of using hardware for samples. And the competition from KORG in today’s announcements is tough, too. If you’re going to have to use an app, KORG’s Gadget app is compelling on its own, without the addition of additional hardware. We’ll just have to get our hands on the volca sample to see what the experience is like using this mobile app, what it can do, and how the two interoperate. I have no details of that yet – not even a screenshot – so it occurs that if they’ve really nailed the app, they might convince us that this is the way to go. And meanwhile, MIDI control of parameters and all the sequencing stuff looks fun. In fact, if anything, the big challenge is that volca sample has some big reputations to live up to. 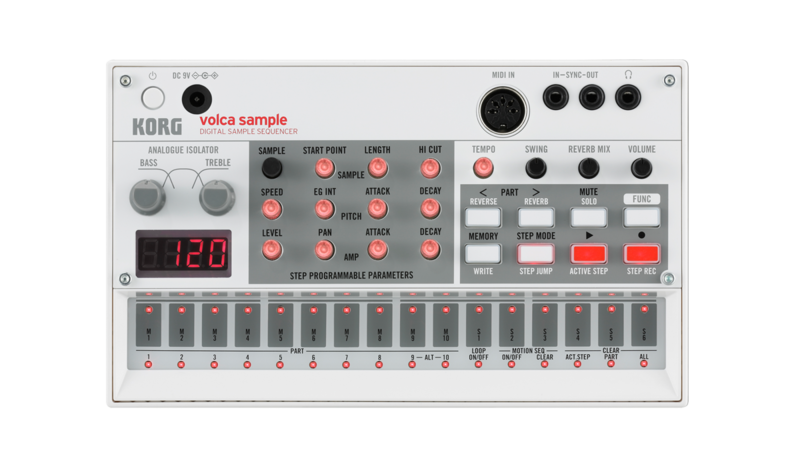 The volca beats’ massive bass drum is becoming indispensable in the studio, and the volca keys, perhaps the most unsung of the original trio, is one of my favorite synths of the past couple of years. But I look forward to trying out the newest entry. By the way, if you are going to have to use external hardware to sample, I’d have a look at the boutique microGranny 2. This wonderful gadget does its own sample mangling (granular style), but reads from an SD card. And you can be the only person on your block to own one, which probably won’t be true of something from KORG.